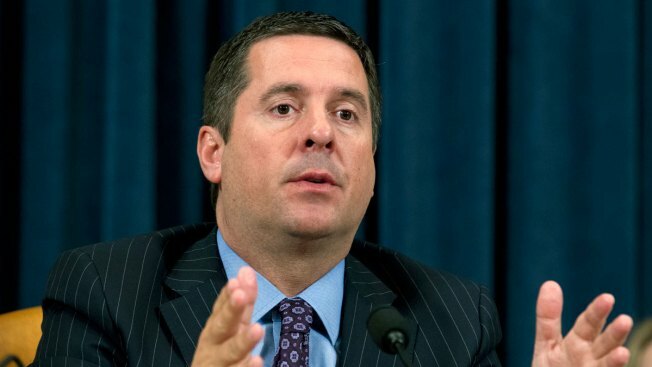 In this Thursday April 12, 2018, file photo, Rep. Devin Nunes, R-Calif. speaks during a committee hearing on possible tariffs and the effect on the U.S. economy and jobs on Capitol Hill in Washington. Hard-line conservative Republicans in the House recently hit a roadblock in their effort to impeach Deputy Attorney General Rod Rosenstein when Speaker Paul Ryan opposed the move. But one of those conservatives, Rep. Devin Nunes, R-Calif., gave a different explanation to donors recently when asked why the impeachment effort had stalled, NBC News reported.